If You Haven’t Heard of Multi Stem, It’s Time That You Did. I don’t like fussy pattern. And I’m not a huge fan of floral. 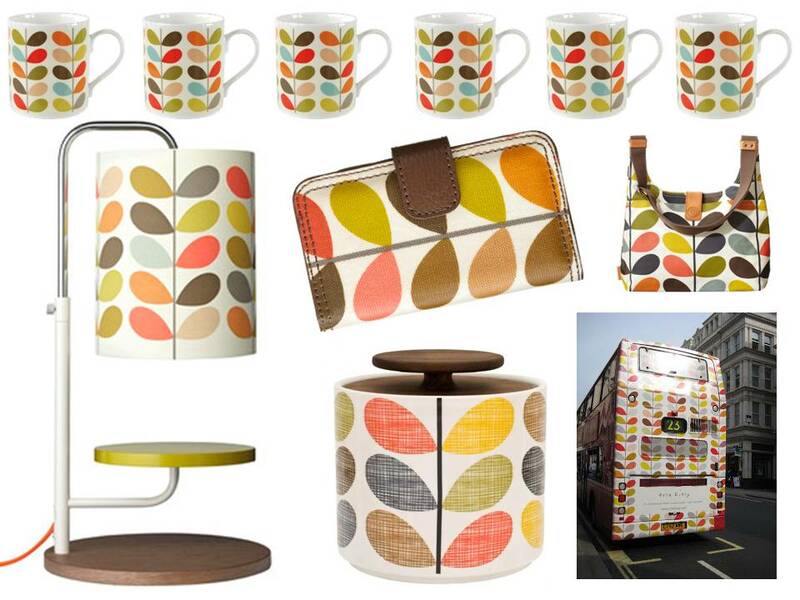 But I love Orla Kiely’s Multi Stem. And I’m not entirely sure why. Actually, I do know why. It’s refreshing. It’s uplifting. And it’s fun. It’s also got a little bit of funk going on and if you want to inject a little bit of the ‘retro’ but in a fairly polished and in a not too zany-flowers-in-my-hair-incense-burning-lava-lamp way then Multi Stem is your friend. Don’t believe me? Then feast your eyes on this. This is (unintentionally) continuing with my previous grey and yellow theme but as you can see a little bit of pattern can go a long, long way. One wall is more than ample for this type of eye-catching pattern and as long as everything else is fairly muted it will happily stand to attention. It has a 60’s vibe and therefore I’ve suggested mid-century side tables (painted white to keep things airy and fresh). I’ve also added lamps that have blue tinted glass stands that not only underpin the retro theme but also complement the blue colour in the Multi Stem pattern. I’ve chosen yellow as the accent (cushions) and have repeated the Multi Stem pattern in the cushions but in a more subdued way. I love this look. But I’m biased. There’s also another very important reason why this type of pattern with its various colours is useful. If you find yourself bored with yellow, you can easily change the colours of accessories by picking out a different colour in the pattern. Genius. Admittedly I was a little slow on the Multi Stem uptake but it’s been around for quite a while and has become somewhat iconic. To the extent that even public transport has been given the Multi Stem treatment. Now that’s pretty cool. I wouldn’t for one second recommend that everyone goes out on the rampage and fills their homes with all sorts of lovely things pertaining to the Multi Stem pattern; one or two considered purchases would be more than enough. I love that blinkin purse. Love it. And just because colours, textures and design schemes can look very different depending on the environment lighting, I’ve included a daytime shot. I also wanted to show off my progress in rendering now that I’ve learned how to create a heavily textured rug (yes, I’m showing off but it only took countless gut-wrenching hours to work out how to do it; cut me some slack! ).